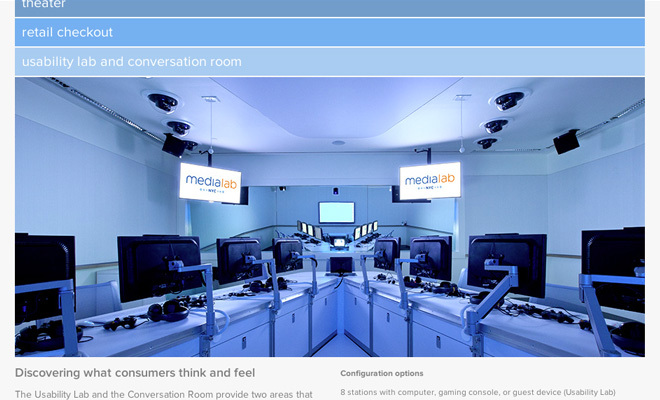 The Time Warner Media Lab is a facility that allows partners to observe consumer behavior in several environments. 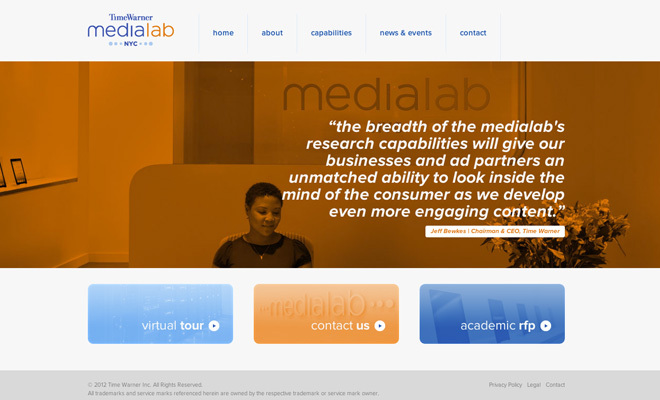 I worked with Time Warner's designers to build a customized Wordpress theme that showcased the Media Lab. Wordpress was the chosen backed for its versatility and ease of use. 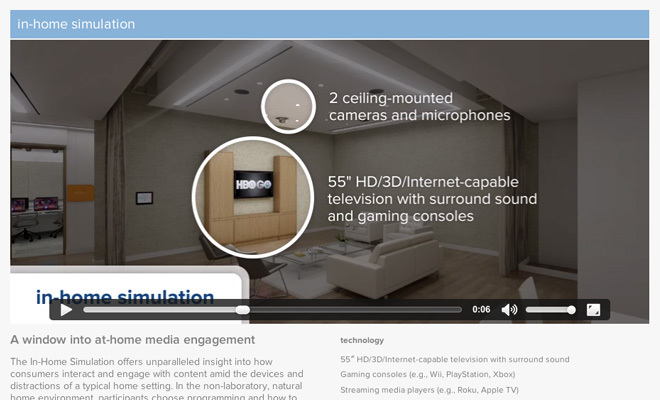 The site makes use of the HTML5 video tag to play walkthroughs and features on all devices. Videos gracefully fallback to a Flash video player in legacy browsers.